Eight long years of excruciatingly accommodative monetary policy have done a lot to inflate asset prices and concentrate some $112 trillion in wealth in the hands of just 34 million people… but it hasn’t come anywhere close to the goal of stimulating broader economic growth. That means there’s likely some serious “helicopter money” headed our way. It might not achieve growth, either, but it is going to be a powerful profit catalyst for the investment I’m about to show you. We haven’t seen the central banks’ efforts pay off in the first place, but now the Organization for Economic Cooperation and Development (OECD) is calling for an even bigger and stronger response to the unresponsive global economy. Their indirect approach keeps coming up short. The OECD warned leaders that a “stronger collective policy response is urgent.” It’s not just serious or critical, it’s “urgent.” Their crystal ball apparently shows the global economy all but halting after an alarmingly slow 2015. In fact, the downgrade in their global outlook is even worse than they predicted just four months ago, in November 2015. The OECD doesn’t expect any country to escape. And still, it wasn’t enough to scare all those wine-sipping finance ministers at their latest powwow. It’s all a bit surprising that this group of G-20 couldn’t come to some sort of coordinated plan. They’ve been long on talk, short on action so far. So at this juncture, with central banks resorting to negative rates, it’s quite obvious monetary policy has just about run its course. Which leaves fiscal policy… but there’s a peculiar wrinkle. As we’ve seen time and again, making banks whole as well as flush with cash really hasn’t resulted in the boost in economic activity that was intended. 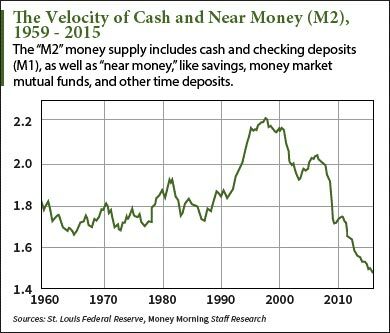 They’re just not lending, and people aren’t spending, so the velocity of money is now at its lowest point since 1959. That’s because businesses aren’t borrowing to grow; they’re buying back stock. And consumers aren’t borrowing, they’re paying down debt and shoring up savings. But for our addicted-to-debt economy, that’s stifling expansion. So helicopter money is the only really effective way left open to lazy policymakers and politicians looking to stimulate growth and inflation. The way it will come is through government spending. A lot more government spending. And infrastructure is the one area most taxpayers, no matter their political or economic persuasion, will agree deserves more money. It’s simply the easiest sell. Of course with unconditional encouragement from “progressive economists” like profligate megaphone Paul “The Keynesian” Krugman, it’s really not all that difficult to figure out what comes next. In a recent article for The New York Times, Krugman tries to make the case for public investment, mostly justified by the fact that infrastructure is in steep decline, but rates have never been lower. Sounds just like Keynes, who maintained government spending could save the economy from a depression. As consensus forms that this is the best – perhaps the only – way out of our deflationary spiral, infrastructure spending will soon become the next great savior. I don’t have any more faith in infrastructure spending than I did in QE, but it’s undeniable that there’s soon to be a bumper crop of cash in the space. Here’s how we can get our share – it pays cash of its own. The iShares S&P Global Infrastructure Index ETF (Nasdaq: IGF) has $900 million in assets and trades about 300,000 shares daily. Making up 43% of holdings, IGF’s largest component is utilities which, in the currently challenging environment for stocks, has been a great place to seek shelter. Since the start of 2016, the S&P 500 is off 6%, while utilities are up about 7%, making for a 13% outperformance so far. Next is transportation at 41%, rounded out by energy at 16%. The exchange-traded fund (ETF) is geographically invested at 35% in the United States, 9.5% in Australia, 9% in Spain, 7.4% in Canada, 7% in Italy, 6.5% in the UK, 6% in France, 4.5% in China, and 3.4% in Japan, with the balance sprinkled across a few more emerging and developed countries. IGF has been struggling for the past year since its high last May. It’s given up about 23% since then, but looks to have bottomed in late January, climbing 9% since and now trading above its 50-day moving average. You also get a low expense ratio of 0.47% and an attractive yield of 3.25%. As we prepare for the coming helicopter money drop, infrastructure looks like a great way to leverage its impact. This fresh spending can only stave off disaster for so long. 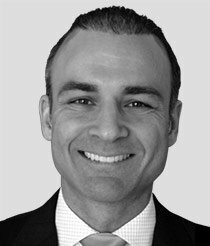 Government debt is bad enough, but right now it’s the banks that pose the biggest risk of a “Super Crash.” And, thanks to profound mismanagement and a staggering $60 trillion derivatives book, Deutsche Bank carries the highest systemic risk of any financial institution in the world – and it’s about to explode. Get Michael Lewitt’s latest investor briefing on why Deutsche Bank is so dangerous to your money right now. It contains recommendations to protect yourself and ultimately profit when Deutsche Bank goes over the cliff. You’ll also get his Sure Money investor service twice each week at no charge whatsoever. Just click here. What is Your opinion about the company please.